January 28, 2016 by Ecommerce News. About Awards with tags Germany. 5577 views. 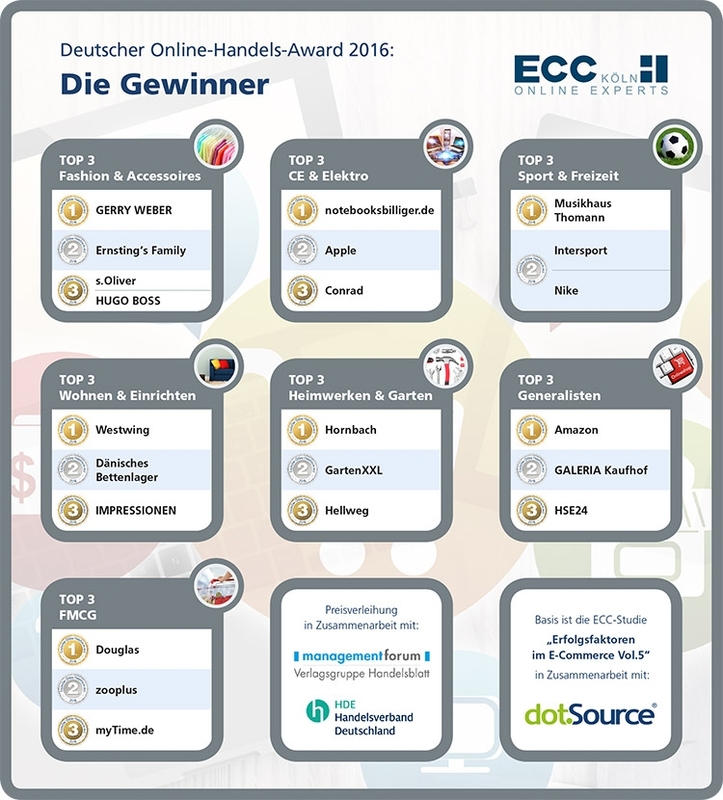 The awards for best online stores in Germany have been handed out this week. The organization awarded the best retail websites from a consumer’s perspective in seven different categories. 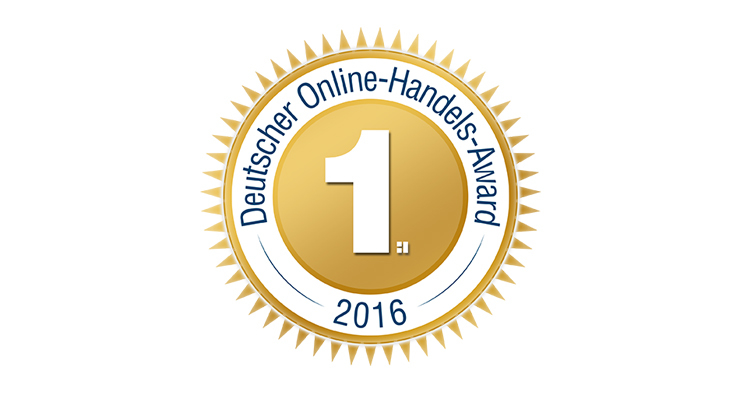 For the fifth consecutive year, Thomann won the Deutscher Online-Handels-Award in the category ‘sports & leisure’. The award shows was part of the Kongress Online Handel, which was organized by ECC Köln, Management Forum and Handelsverband Deutschland. Besides some newcomers, there was also an old acquaintance among the award winners on Tuesday night. Online music store Musikhaus Thomann won an award in the category ‘sports & leisure’, for the fifth time in a row. In this category, Intersport and Nike shared the second place. In the category ‘consumer electronics’ there was an award for Notebooksbilliger.de, who also won this award last year. Apple and Conrad ended second and third respectively. The other winners are Gerry Weber (‘fashion & accessories’), Westwing (‘home & furniture’), Hornbach (‘DIY & gardening’), Amazon (‘Generalists’) and Douglas (‘fast-moving consumer goods’).